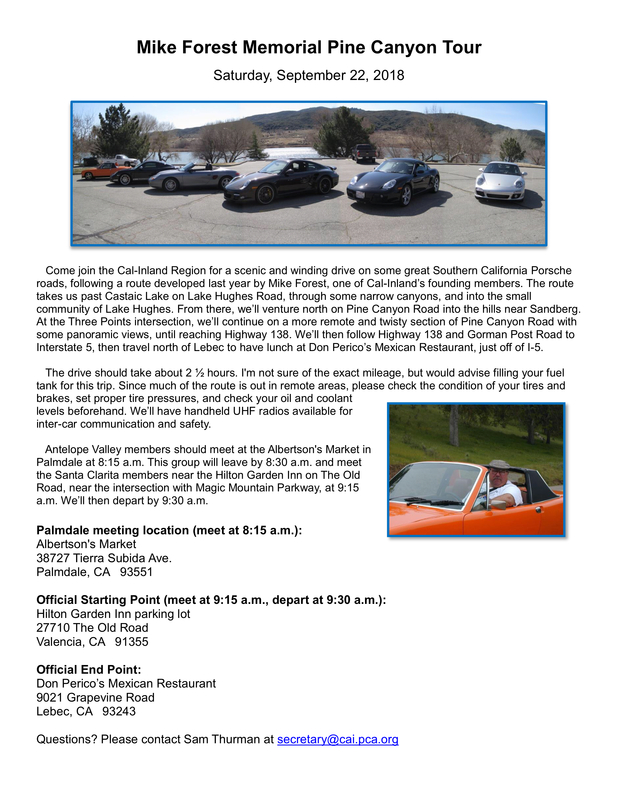 Come join us for a scenic and winding drive on September 22, 2018. Registration is available at MotorSportReg. Questions please contact Sam Thurman at secretary@cai.pca.org.